Major Crimes Unit detective Tom Wade secretly worked with the Feds to nail seven of his fellow cops for corruption…turning him into a pariah in the police department. So he’s exiled to patrol a beat in King City’s deadliest neighborhood… with no back-up, no resources, and no hope of survival. Now Wade fights to tame the lawless, poverty-stricken wasteland…while investigating a string of brutal murders of young women. It’s a case that takes him from the squalor of the inner-city to the manicured enclaves of the privileged, revealing the sordid and deadly ways the two worlds are intertwined…making his enemies even more determined to crush him. 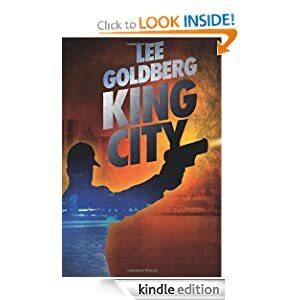 Lee Goldberg is a two-time Edgar Award nominee who has written and produced scores of highly successful network television series, including Diagnosis Murder, Spenser: For Hire, Baywatch, SeaQuest, Hunter, Nero Wolfe, Martial Law, Missing, Monk, and The Glades. He’s also the author of over thirty novels and non-fiction books, including The Walk, Watch Me Die, Successful Television Writing, My Gun Has Bullets, the long-running Diagnosis Murder and Monk series of original mystery novels, and the new Dead Man series of monthly horror-thrillers for Amazon’s 47North Imprint. As an international television consultant, he has advised networks and studios in Canada, France, Germany, Spain, China, Sweden, and the Netherlands on the creation, writing, and production of episodic television series. Goldberg lives in Los Angeles with his wife and daughter and is already hard at work on the further adventures of Tom Wade. 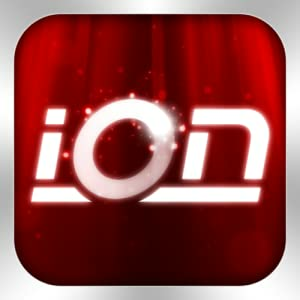 Ion Racer is another game for you Kindle Fire which you can get for free today only. Exploding into the Amazon Appstore at warp speed, SGN brings you Ion Racer. A sci-fi, action-packed, agility race with heart-stopping thrills, Ion Racer takes speed to a whole new level. With endless ways to customize your craft, you’ll never run the same race twice. Experience the mounting challenge of mission-based progressive competition. How long can you stay in the race? Ion Racer is a truly strategic racing game. Choose strike mode to burst through obstacles or play in + Focus mode for precise steering. Control your craft with accelerometer tilt steering or the easy-access light touch controls. Buy or earn valuable Kions to gain boosts in speed and accuracy. Repair Heal your damaged ship through intensely accurate gameplay or hit auto-repair for instant healing to get back into the race, fast. Catch multipliers for an out of this world score, and earn perks and upgrades. Are you ready for the ride of your life?